In this age of advancing technology, social medial has become an essential part of our day-to-day lives. It influences the service providers we choose—from MMJ business lawyers to cannabis safety testing companies, to the products we buy and the places we buy them from. From food to activities to medical cannabis, social media has informed the decisions we make and even how we see the world. Statistics show that a substantial majority of adults in America are using social media daily. It is no surprise that social media is now an integral part of business culture and medical marijuana marketing as well. Michigan cannabis businesses use social media to market and advertise events, products and services. Social media gives cannabis companies a direct line to medical marijuana consumers, giving patients information on pricing, product selection, and customer reviews from the comfort of their own home. 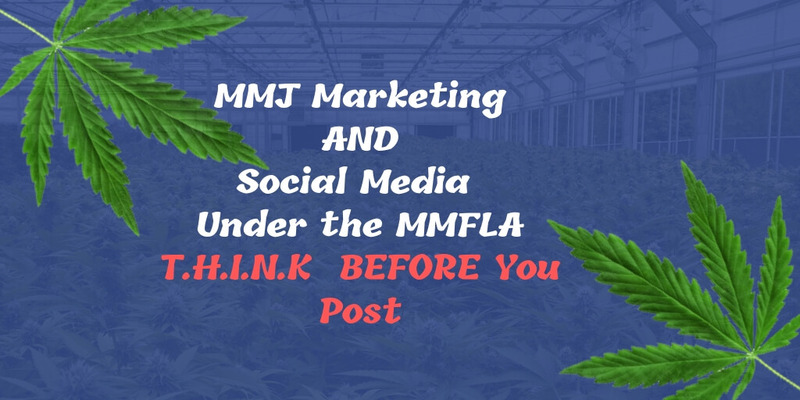 The Bureau of Medical Marihuana Regulation (BMMR) has taken a stance on social media marketing that effects everyone who is seeking licensing under the Medical Marihuana Facilities Licensing Act (commonly referred to as the MMFLA). While businesses in other sectors generally enjoy free reign to post on social media, cannabis businesses operating under the Medical Marihuana Facilities Licensing Act should exercise more caution. Several social media and Weedmaps posts have even been discussed by the State of Michigan Licensing Board and cited as a reason for voting against medical marijuana facility licensure, with the promotion and participation in events that promote “recreational marijuana” being a common issue. The Michigan Medical Marihuana Act (MMMA) and MMFLA legalized the use of cannabis for medical purposes. However, neither of these laws allows for recreational sales or use, though this may soon change (or depending on when you read this, may have already changed). Nonetheless, the medical and recreational markets are entirely separate markets that will have separate licensing requirements, though only businesses with an MMFLA license will be able to obtain a recreational marijuana license in the first two years of the program, with a couple exceptions. This means that it is important to practice good social media etiquette in regard to medical marihuana licenses now, even if you already have a license, because keeping that license in good standing will be critical to success in the recreational market down the road. When considering applicants for facilities licenses, the medical marihuana licensing board uses certain criteria to determine whether an applicant is fit for a license. 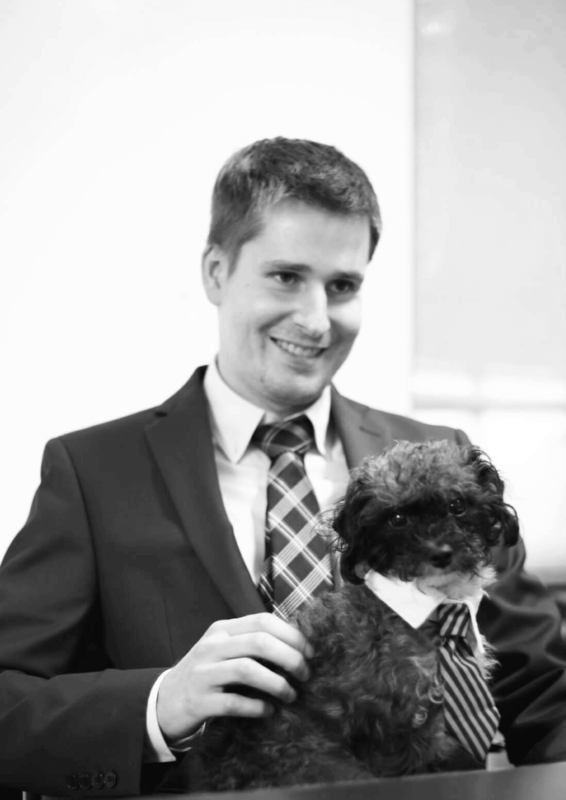 Many of these were discussed in our previous blog post, written by Cannabis business attorney Scott Roberts, entitled, MMFLA Licensing: Ten Application and Licensing Tips from BMMR Director Andrew Brisbo. Some of these include failure to disclose criminal and financial information. One factor that is often over looked is social media and marketing activities. On the MMFLA prequalification application, applicants are asked to include any social media links the entity uses. As cannabis business and licensing lawyers, we can assure you that even if you don’t provide these links, LARA will comb through social media to find your social media pages. We once even had LARA ask about a client’s social media profile that he briefly used for a few days several years ago. The possibilities are endless when cannabis businesses properly utilize social media, whether that be a Facebook page, Instagram page, or a profile on a specialized app such as Weedmaps. However, there are some things to keep in mind when cultivating a social media presence for your business, especially with respect to medical marijuana businesses eyeing the expected recreational marijuana market. Here are some questions Michigan cannabis business owners should ask themselves about their social media and marketing efforts. Is this information that needs to be posted? One MMFLA licensing applicant almost opened the door to denial due to the fact that his son, who is a facility manager, apparently bragged on social media that he was the “owner” of a Detroit provisioning center. Of course, the Michigan Department of Licensing and Regulatory Affairs saw this post and included it in its report to the licensing board, and at least one MMFLA licensing board member used this as a reason to vote against the provisioning center’s licensing approval. This example also demonstrates that cannabis facilities need to not just worry about posts on their own business pages, but also the posts of managers and on-site employees as well. As another, this time-hypothetical, example, let’s take a budtender who posted pictures of marijuana consumption at the dispensary on their personal social media page. On-site consumption is a violation of the MMFLA rules. If LARA was to come across this post, this would likely trigger a surprise inspection. During the inspection, LARA would be able to review 14-days worth of video footage of every inch of their facility, and quickly confirm the violation and issue a citation or other administrative action. The key takeaway here, which should apply to all of your social media posts, is that you shouldn’t post information you don’t want to be made public. Seems simple enough, but almost everyone knows that one person they are friends with who constantly violates this simple rule of thumb. This goes for both the social media pages of a cannabis business as well as its employees. Reminding everyone to exercise a bit of discretion—and THINK before they post—will prevent many of these problems from arising, as will screening a potential employees social media profiles before hiring. Is it clear that the event is related to medical use only? Are recreational uses implied by the post? This question may seem redundant, but it is necessary. It serves as a second layer of checking to make sure that the intent of the social media post is purely the medical use of cannabis. Quirky posts with double meaning may be humorous, but there is nothing funny about a $6,000 application fee gone down the drain because that funny post had recreational implications. It is always better to play it safe and preserve your potential medical marijuana license, even if your real goal is to leverage your Michigan medical marijuana license into a recreational license. Would an outsider perceive this post as relating to recreational use? Often times when we post, we never stop to think of how our words may be perceived by people who may not be as familiar with the topic we are posting about. Even a well-intentioned post can be misconstrued to be in reference to something else. This is why it is extremely important for medical marihuana business owners to take extra care in making sure that these misunderstandings do not happen. Being intentional about the meaning of your posts is key to meeting the Board’s social-media standards. In no way is this an exhaustive checklist, but it is important to consider if you are going through the prequalification process. In order to make sure your social media branding and materials are in compliance, we recommend running them past your MMJ attorney. Always T.H.I.N.K before you post! Have the future and current license in mind. Keep you keep your attorney in the loop. Uduak Eyo is the medical marijuana licensing coordinator and a law clerk at Scott F. Roberts Law, PLC, a Michigan marijuana business law firm focused on helping Michigan cannabis companies comply with state and municipal laws. Contact us today to schedule a consultation with a Michigan cannabis business attorney.